The Hansel Auto Group story is a long one. Our family has been involved in the California transportation industry from almost the very start. The Hansel Auto Group history begins with Joseph Hansel in 1851. Joseph was the first Hansel to provide transportation to others, selling horse-drawn carriages. Joseph’s son continued in this business, opening California’s first Cadillac dealership 1901. The first Hansel Auto Group dealership in Sonoma Valley was opened by Walter Hansel in 1961. Walter was focused on much more than just selling cars. It has always been the belief of the Hansel family that giving back to the community that has supported us for so long is an important responsibility. Walter Hansel and several other local business leaders founded what would eventually become the local chapter of the United Way. Hansel Auto Group is still heavily involved in our local community. Hansel Auto Group is still under the leadership of the Hansel family. Father and son Henry and Justin Hansel have helped the Hansel Auto Group expand to include eight locations and several auto manufacturers. 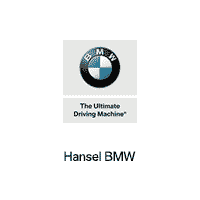 Hansel Auto Group now offers vehicles produced by BMW, Acura, Volkswagen, Subaru, Lincoln, Mazda, Honda, Toyota, and Ford. In addition to our great selection of new vehicles, Hansel Auto Group has an inventory of over 600 pre-owned vehicles. Our diverse staff now numbers over 500. All of our team members are committed to offering the best customer service experience. At Hansel Auto Group, we will help you find the perfect vehicle that will meet all of your needs as a driver and an owner. Not only do we provide extensive new and pre-owned inventories, but also the Hansel Auto Group service center is ready to help keep your vehicle in top condition. Our Auto Campus Parts Center offers parts from several vehicle brands. Our extensive selection of OEM parts will help make sure you can find the perfect part for your next project. Hansel Auto Group is here to meet all of your vehicle shopping and service needs.